IN THIS EPISODE: News about Board of Governors Confirmations, an update on the President's Postal Task Force, and how Millennials are changing the way marketers are leveraging data to communicate to their customers. 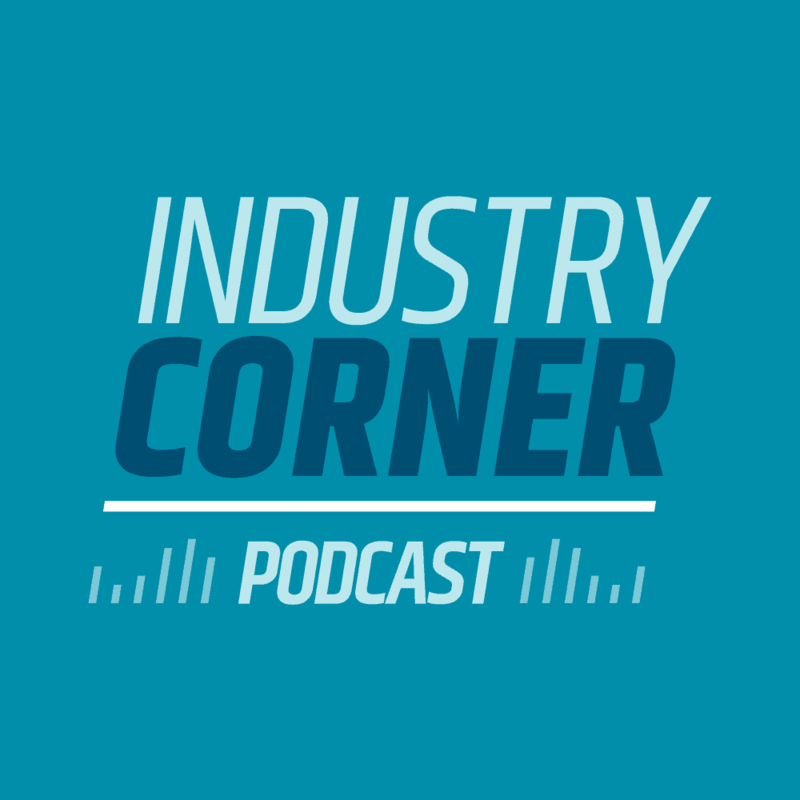 Anita: And I'm Anita Pursley, welcome to Industry Corner, a podcast where we'll be talking about industry topics and breaking them down into easy to understand terms. Chris: On today's podcast, we're going to talk about some exciting news on the Board of Governor nominations and update on the President's task force and then how mail and millennials are changing the way that marketers are leveraging data to communicate to the customers. So let's get into it. Chris: Welcome again to the podcast. Hi Anita. Anita: Hey Chris. How are you today? Chris: I am doing great, thank you. We've got a lot to cover on our brief podcast this morning, so I want to get right to it and I understand that last night there were some exciting news about the Board of Governor nominations. What's going on with that? Anita: You're absolutely right, Chris. First of all, we're recording this on the 29th of August. And so last evening the two nominees that made it out of committee, Robert Duncan, he's the Republican from Kentucky and Dave Williams, the former IG, Inspector General for the postal service were both confirmed as guns. Chris: That's great news. That's great. And you know, the timing is really important for that, isn't it? Anita: Absolutely. I mean there's so much waiting for governors. Are we going to have promotions? What are we going to see next? Chris: Well, I think its very timely. You're right. And I think the, the party particularly for our customers that people are wondering is the pricing for 2019 generally we get that initial published pricing in October and that's right around the corner. So having a Board of Governors, at least with two so far is, is really good progress. That's going to give us some clarity is what's going to happen hopefully for 2019 as we roll into the October timeframe. Anita: Right. I need to mention also that President Trump nominated two other individuals to the board of governors. Of course they have to go through the hearing process and the confirmation process just like the other two. But. So Ron Bloom from New York and he is a Democrat who worked in the Obama administration as assistant to the President for manufacturing policy. So I think that's a positive sign. And then Roman Martinez, he is currently on the board of Cigna and he was a partner at Lehman Brothers of New York for 30 years. He's the Republican. So there's actually movement on this front. It's really exciting. Chris: Well, that's great news and I know that that kind of answer some of the concern that the senate had about getting a Democrat, from a political aspect, to try and present some type of a balance in there. So I agree with you. That's exciting news. It's good. It's about time. The Postal Service certainly needs a board of governors and we need clarity coming in October as to what 2019 holds for us. So, President's task force any change on that? I know that was a big topic we covered last time. Anita: I can't believe I'm going to say this, but now there's speculation that the report may not even see the light of day. So I reported last time that it was in the hands of the President and has been complete silence since then. So we mentioned that there was a hearing plan for September 5th. Well, I check the hearing scheduled daily. It's never appeared on the schedule and now it's been postponed or indefinitely. So we don't know what's going to happen. But there's a lot of speculation. Maybe the President didn't like what he saw in the report. Maybe you sent it back. We really don't know, but that's another one that's going to be on hold for some time. And as I said, the speculation is that it may not even be released to the public. Chris: So no really no progress on that part, but we do have some good news on the Board of Governors. I also noticed that there was a federal register notice that the postal service recently published relative to marketing mail. What's that all about? Chris: Or even embarrassment in some cases, this one is a little odd, right? Anita: Right, so this is one of those cases where they issued an advanced federal register notice. Chuck Tacamo yesterday on a call, described it as a trial balloon, well it popped really quick. So what they're trying to do or what they're thinking about doing is limiting all USPS, marketing mail, regular and nonprofit letter size and flat size to content that's only paper based printed matter. So no merchandiser goods would be allowed of any type. So imagine credit cards would be out magnets, pennies and nickels that the nonprofit community use in so much of their mail, near field communication chips, all that would be out. So there's a lot of angst about this. It would move a lot of standard mail marketing mail, excuse me to… It would have to shift to another product like priority mail or parcel select. So that's a real huge postage increase for these mailers. Chris: That doesn't really make sense to me either. I mean, so first of all, I love paper like everybody else in this industry, right? It's a renewable resource. It's very, very important. It's tactile and so forth. But to take out some of the additional components from a marketing aspect don't seem to make sense to me because, you know, again, back to the haptic nerves, you know, touching, feeling, being able to have that connection, the magnets, the pennies you mentioned, even just the near field communications, that's the part that doesn't seem to make any sense to me at all with the post service limiting and restricting what we can do with marketing mail. That's, that's where some of the growth I think in the industry really has. In fact, speaking of the growth, the July unaudited revenue piece in weight report from the postal service, it showed a marked increase in marketing mail 5.3% versus same period last year. And Anita that continued the trend that we saw in fiscal quarter three for the postal service that had quarterly growth of 1.5% over the same period last year. So with all this growth that's beginning to show in marketing mail, which is really encouraging why the postal service would put a restriction on what you can include with that, including some of the near field communication chips, which technically are not paper. It seems really odd to me. Anita: Right. I think that's how the industry reacted as well. And it's kind of like they felt like they were cut off at the knees. I mean this is a growth opportunity for the postal service and I think the concern, and they have stated it, is that machinability is an issue, but as we pointed out, there are machinability or non machinable rates. So maybe this isn't where their focus should be. I think they need to be expanding it. In fact, Chuck Tacamo's work group is looking at including more letter sized mail into the machine of a category. So it was a real shock and I don't think it's going to go anywhere based on the comments. And that's important for our listeners to know. First of all, make your voice known. They're giving us a 60 day comment period. October 22nd is the comment deadline. And so we're just going to have to encourage everyone to speak up on this. Chris: Yeah, no, I agree. And again, that for our listeners, that's one of the main reasons why BCC software is so actively involved in all the industry associations and MTAC, you know, you and I both served, uh, as former chairs, industry chairs for MTAC and so, you know, things like this and you're absolutely right at the beginning of it, the items like this should have been discussed at MTAC. We could've vetted that out very, very quickly with the post service and let them know where the issues are, but since it's already published out there and that's where it is. Please let us know folks and Anita and I and the rest of the people at BCC Software will continue to be your advocate and carry that information to the postal service. Let them know that in this case this doesn't seem to square up with where we're seeing some growth or, or parts of the industry where people are trying to market to. Anita: Well, speaking of marketing mail, I saw an article the other day in the Washington Examiner and it was titled The fate of the postal service lies in the hands of millennials. And I know you've done a lot of research and in fact, I think at the postal forum you did a session on marketing to millennials. So what trends are you seeing? Chris: Well, thanks Anita. And you're right. I mean, millennials are a growing part of the demographics of this nation. And you know a couple of things that we've seen initially, and I talked about this at NPF, the three “M”s, if you will, with millennials that I see is 1) Millennials have MONEY. These are not teenage kids folks. These are people that have, and they're spending money, and they're being very careful where they spend that. 2) Millennials MOVE their, move, change rate change of address is very different than what we've seen with boomers and so forth and Gen Xers, so you need to be aware of that and I'll talk about that in a minute. And then the third is that millennials do like MAIL, um, they actually valued that. And so, you know, a couple of sources that I've been looking at, Anita, and a few statistics to share on the podcast today come from the 2018 DMA Factbook that BCC Software purchases and tracks closely, the Household Diary Study from 2017 that the Postal Service published a little bit earlier this year and I referenced a couple of that on some prior podcasts, but then also the office of the Inspector General just recently published a white paper on that, a document. So from the DMA factbook a couple of things. So a recent Data and Marketing Association show that $20 billion dollars is being invested in third party audience data. And data activation solution. So let's start with that. A lot of money's being spent to get data and, and that's really important because we need to have that data to better understand your customers and connect that. And, and that's an important part of what I know BCC Software looks to do. We want to source as much data directly to be able to leverage that for our customers. That's why we license all the data directly from the US Postal Service to be able to do that and, and help our customers. But as we found, you know, again, with millennials like mail, the USPS mail moments review said that 84% of millennials take the time to look through their mail and 64% would rather scan for useful information in the mail, then their email. So digital fatigue anemia is really happening with millennials. They're tuning out on some of the emails. So just getting cluttered with that. And when they get a piece of mail that really connects, they want to open that and spend some time with it. Anita: And they have a strong relationship with technology. Chris: Yes, absolutely that the two together, right? You'll high touch and high tech, so that high touch mail piece as you know, a foundation and a bridge to high tech. That's pretty exciting. And one area, Anita, I know you're very well acquainted with that is still working… catalogs. Catalogs still work. Chris: So do I, I know they're, they're great. I mean it's something that you can embrace and sit down and in a more personal engaging area. And that's why 90.9%, that's nine zero point nine percent of merchants lists catalogs is a primary marketing tool at 44.4% of merchants reporting their circulation has increased in the past year. And again, another 42% of catalog recipients reported reading catalogs and then finally another one more, 25% clients look through or saving catalogs for later. So I just threw a lot of numbers there and our listeners. But you know, the bottom line here is that catalogs, they still work, they're still a primary part and I think marketers are really tuned into that. And I think partly because 71% of the consumers that were surveyed say that catalogs influenced their purchase decision. So that's part of the reason circulation and frequencies increasing a third of the catalog or said that they plan to increase their page count your so next year. So just so much is happening with catalogs and I think it has to be done based on, on the data understanding who's that audience and in and getting that to them. So that's good. That's good because Quad Graphics did a study back in 2016, Anita that said that 41% of millennials and 53% of Gen Xers reported enjoying their catalog. So that's a good trend in terms of the value and that sort of goes against what we saw, you know, some of the decline. And Anita, I know back, um, Gosh, when was that? It was a back in 2007 right after the law changed Postal Accountability Enhancement Act, the postal service, they had a pretty big increase in postage rates that hit catalogers pretty hard. Right. Anita: Exactly, and that's when the volume started to drop. Because of the price increase. Chris: That was like a double digit increase to catalog at the time, right. Anita: Yes, it was 22% in some cases. Chris: Oh my goodness. Wow. Yeah. Well again, that validates that that mail is very elastic in terms of pricing. Um, but I will say something that was interesting, you know, again and this relates to two catalogs and direct mail altogether. So the 2017 direct mail response rates according to the direct marketing association, significantly increased. They're up 5.1% now for a house list and 2.9% for prospect mailings, Anita. So I think that's a great trend and it's something that our listeners and their customers need to be aware of. Yes, mail is expensive. I mean that's something that we have to deal with all the relative to the rest of the world it's a great bargain, but the reality is, is that direct mail works. No other form of media comes close to this and all of your digital media combined together isn't going to get you 5%. Anita: Exactly, and it's measurable. Chris: Yes, well attribution's the key, isn't it Anita? I mean, people have to understand it's a challenge and in, and we need to make that work and related to attribution is coupons, you know, in as much as catalogs are working, coupons still work. And again, especially for millennials. Of the millennials that were surveyed, 32% said that the coupon that they receive is what tipped them into purchasing that product and in fact actually resulted in a higher volume purchase. So for our listeners, coupons, catalogs, those are really, really powerful and it's an important part of marketing to millennials. Anita: Right. And you mentioned the OIG report on the office of the Inspector General. Chris: Yeah. So they published a report too, and I'm in some, some interesting things on that for millennials that I thought were relevant for us to understand because again, millennials as a group are different than our gen xers and the baby boomers. So the first thing that I found interesting is that millennials are less likely to be the CEO, what we call the CEO of the mailbox, right? They're probably not going to be the ones that are looking at the mail and maybe part of that is because a lot of them still live at home, right? The, um, you know, as I said before, they don't move in the same way that we saw with other groups. They tend to stay home a little bit longer than others, you know, with their parents or certainly they hold off on getting married until a little bit older. Maybe when they've got the career start in stuff. But when they do get mail, Anita, 75 percent of the millennials that were surveyed said that personal, personalized mail, right. It could be mail from friends or family, but, but also it can be personalized. Direct mail makes me feel special. So they really liked that and they're very responsive to marketing mail back to, you know, the trends that we saw and uh, and some of the concerns we had with the pollster was trying to limit that 62 percent of millennials said that they had visited a store in the past month based on information received in the mail compared to just 55 percent of Gen xers and 52 percent of baby boomers. So encouraging. And, and marketing mail and again with coupons and things like that, 69 percent of those surveyed millennials said that they're very, they very much liked those coupons for local restaurants and things they want to connect to their community. So the coupons and catalogs folks, that's really, really important. But remember that the millennials that you're targeting, that's not, they're not going to be the CEO of the mailbox. So be aware of that. And then also make sure that you understand some of the move rates, like I said before, um, one other area too that I thought would be relevant, Anita, and we kind of touched on this in the past. Informed delivery and digital. Anita: I would think millennials would love Informed Delivery. Anita: Probably because they're not filling out the change of address notice. Chris: Could be. Only 19 percent of the surveyed millennials said they had even heard about informed delivery. But, you know, here's something interesting I found about this before millennials said that if the postal service had some kind of a loyalty reward program, you know, like, like you see with other places, 63 percent said they'd be interested in that. Which I think is good. That's a good idea for the post service to consider. And sort of related to that is millennials like to use those self serve kiosks. 71 percent said that they were interested in that although only 20 percent had had used one. So, I think there's an opportunity for the postal service to connect and engage more with millennials. Certainly awareness, on informed delivery, but then I think also, you know, again, for the industry we still need to be aware that um, you know, keeping up with these millennials, targeting them and more specifically how to get the address right, how to, how to keep up with these moving millennials and it all comes back to the address again. Anita, how do we make sure that we've got a good address that's complete, correct and current and specifically for millennials, as we move forward. And, and that might be something to talk about that. Anita: Maybe for our next podcast. I think that's a great suggestion, especially in light of the fact that the postal service recently announced that they're moving forward again with ACS billing. So that's a big concern for the industry in terms of accuracy. So that's a great idea for next podcast. Chris: Okay. Alright. So ACS, address quality, I love that topic. So folks we'll bring some information there that's current on that and maybe some exciting ways that postal data and industry data can be leveraged together in exciting ways to, again, keep up with those millennials on the move. All right, well, hey Anita, always wonderful to talk to you. Thank you so much for the updates on everything and I hope our listeners enjoyed the podcast today. Anita: Thank you Chris. Everybody have a great day. Chris: All Right, thanks folks and look, look forward to hearing from you soon. Give us a call or visit our webpage BCC Software. We'd like to know how can we help? Have a great day. Everyone.